It’s still bikini season, and that means it’s time for many women who are trying to lose weight to re-evaluate what is and isn’t working for their fitness and health goals. Henderson is a 28-year-old woman who lost 30 pounds over six months, and has currently kept that weight off for one and a half years. She learned to think of weight loss as a healthy lifestyle journey, and understood that like any journey, it will have its ups and downs. 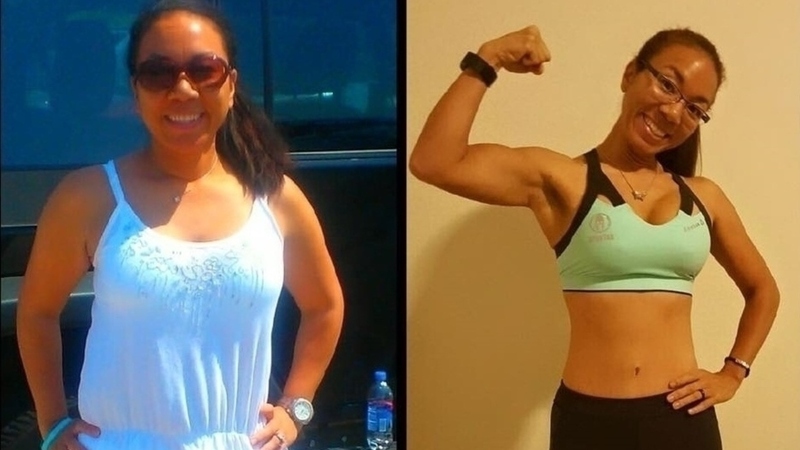 As she started to make better choices with her eating, that healthy decision-making crept into other areas of her life as well. Have you managed to keep the full weight off that you initially lost? Yes. The key is that I didn't diet, I made small lifestyle changes slowly. I incorporated more movement into my daily routine and slowly broke bad eating habits. What do you do if you start gaining weight back, or feel tempted to return to old habits that led to weight gain? I haven't gained all my weight back, but I have gone through periods, like holidays or vacations, when I am not sticking with my routine as good as I should and I pick up a few pounds. My go-to way to get back on track is a juice cleanse. Usually a three-day juice cleanse is enough for me to restart and reset, and get back on track. How did you manage to lose weight and keep it off? My strategy was not to diet. I didn't want to count calories, points or carbs. Instead, I wanted to learn healthy cooking preparations and eat real food. So, I started changing my habits one at a time. First, I cut out soda. After a few weeks, when the cravings stopped, I [cut] out all juices and only drunk water. Then I cut out processed foods. One of the hardest things that I had to cut out was added sugar, but this is when I started to see the weight just melt away. Sugar is often the addictive ingredient that keeps you going back for seconds. And sugar fructose does not trigger the same sense of fullness as other foods with similar calories, which can lead to a cycle of binge-eating. What tips do you have for other women who are trying to lose weight, especially for health reasons? Drinks lots of water. Your body will thank you in the form of dropped pounds and lost weight. Jones is a 40-year-old woman who lost 75 pounds throughout her weight loss journey, and has kept the weight off for two years. She learned over time that "food can be the worst poison or best medicine for your body — it’s up to you to decide which." Yes, by staying consistent and disciplined [and] following a low-carb lifestyle with Atkins and continued exercise. I re-evaluate and fine-tune what I am doing or not doing in regards to my workouts and nutrition. With Atkins, it’s about finding your carb threshold, so if I notice that I’m gaining weight, then it’s likely I need to cut back. If or when I’m tempted to return to old habits, I remind myself of how far I’ve come, my progress and accomplishments, and remind myself that the temporary indulgence is not worth my overall goal. The key to my success was to "get real" with myself. I had to eliminate the excuses and make my health a priority. So that meant being extremely disciplined and consistent with my work-out program and nutrition. I followed the Atkins program and my exercise plan to a T. Because I love food, things that helped me along were having healthier alternatives to my favorite go-to snacks, e.g., instead of M&M's, having Atkins sugarless chocolates. Know your body and your weaknesses. If you’re not a morning person, don’t work out in the morning because you most likely won’t stay consistent with it. You don’t have to starve yourself to be healthy, that’s the beauty of Atkins. You’re always full and satisfied. Your body needs food to function, it just needs the right type of food. Note: Responses have been edited for grammar and length. Henderson, Kristian. Email interview. July 19, 2016. Jones, Enna. Email interview. July 20, 2016.